Saul "Canelo" Alvarez had a lot of frustrations to get out Saturday night at the T-Mobile Arena in Las Vegas. Since his last fight—a controversial split draw with longtime middleweight kingpin Gennady "GGG" Golovkin—a storybook saga had morphed into a nightmare. First, there were the failed drug tests and a reputation left shattered. 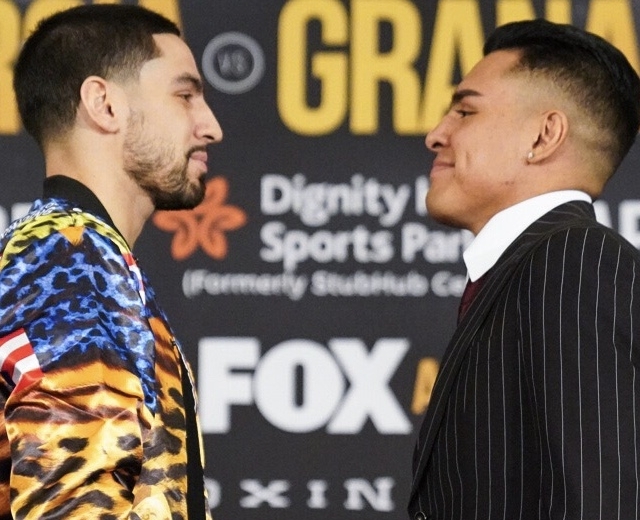 Then there were the intimations of cowardice, that he wasn't "Mexican" enough in style or substance, that he was destined to be remembered more for the bouts he lost than the many he's won. For an entire year there was little Canelo could do but take his lumps. Never a media darling, he was even more closed than was customary, seemingly filled with a rage that desperately needed an outlet. But when the bell rang to begin the rematch with Golovkin, it was finally time to hit back. In the first bout, Canelo ceded the middle of the ring to the fearsome Golovkin, something every fighter throughout the Kazakh's career has either done or paid a terrible price for failing to do. Not so in the second tilt. This time, as promised, Canelo stood his ground, taking the fight to GGG with unprecedented success, winning a majority decision after 12 grueling rounds. "He's a great opponent," Canelo told HBO's Max Kellerman after the fight as Golovkin rushed out of the ring to the locker room. "But every great fighter needs a rival. I was that rival. I showed it tonight." Almost immediately, as Canelo unleashed devastatingly fast hooks and uppercuts that caused the capacity crowd to cry out in pleasure or despair, something truly remarkable happened. GGG, who had won a record-tying 20 middleweight title fights, wilted under Canelo's sustained attack. The younger man by eight years, Canelo, 28, didn't just refuse to take a backward step—he actually began backing Golovkin up consistently, wearing away at both his cheekbone, which was soon a bright red, and his psyche. But Golovkin didn't become a living legend by the merest coincidence. 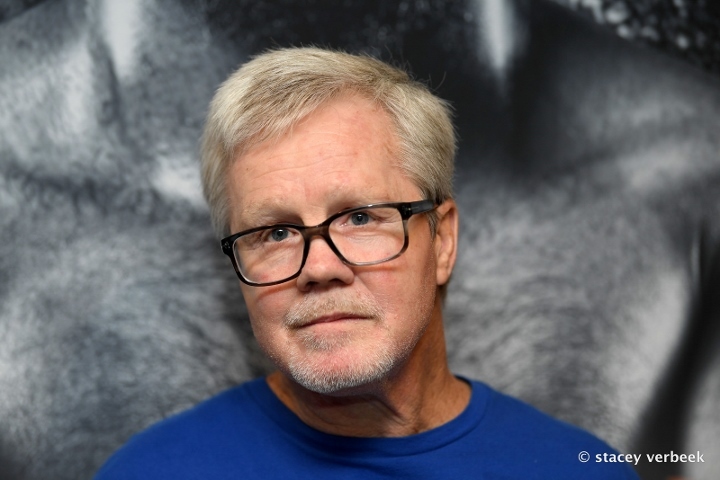 A rally was inevitable, and he never stopped trying to land one of the thudding blows that had made him a cult figure on HBO's boxing broadcasts. Occasionally, he would send right hand thundering into Canelo's face, eventually opening a cut over his left eye early that never quite closed. If these blows bothered the new WBA and WBC champion, he did a good job of hiding it. "He was connecting with punches," Canelo conceded. "But they were few and far between." Golovkin, to his credit, never quit, winning the 10th and 11th rounds on all three judges' scorecards. Seemingly finding himself with the fight, and his legacy, on the line, Golovkin pressed Canelo into the ropes for the first time in the bout. In the first loss of his long career, Golovkin (38-1-1) showed the Hall of Fame character his critics have been waiting to see. In the final stanza, the younger man came out swinging. 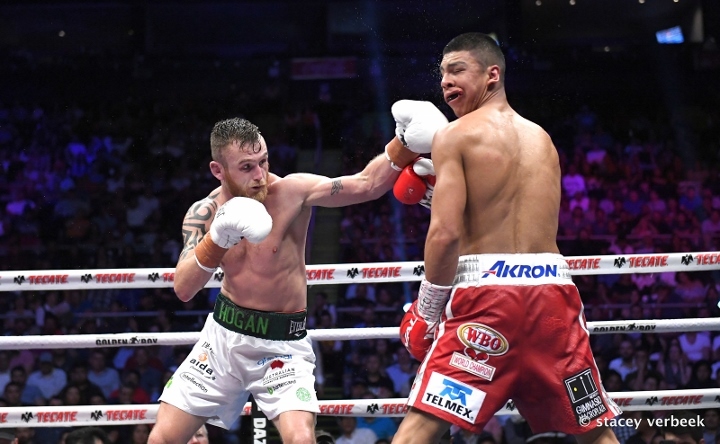 In the past, loaded with muscle, Alvarez seemed to fear fading at the end of a long bout. This time he took it to the champion until the bell, winning the round and the fight with heart and will as much as his superior boxing skill. Heading into the matchup, Golovkin had succeeded the retired Andre Ward as Ring magazine's new pound-for-pound champion, a mythical title that crowns the sport's best fighter regardless of weight class. With the victory, it's only fitting that Canelo replace the conquered hero on the throne. A lot of fighters are cute technicians and have slick entrances and exits—boxing maestros who force even the sharpest critic to concede that fisticuffs can indeed be a science. A lot of fighters are tough brawlers, capable of imposing their will on both their own body and their opponent's. Very few are both, which is what makes Canelo's growth as a pugilist so impressive. He throws every punch with authority, from a developing jab to the kind of body shots that make fans wince from halfway across the arena. When the moment calls for it, he can move out of harm's way with alacrity. But when the time is right, he's also more than ready to play Rock 'Em Sock 'Em Robots with the meanest mugs on the planet. Already the sport's most popular star, Alvarez proved against Golovkin he's also the best fighter in boxing. His lone setback, a 2013 loss to Floyd Mayweather Jr. when he was just 23 years old, only made Alvarez better, sharpening his boxing skills and emphasizing the importance of cleverness and craft. Against Golovkin, he proved he could also stand in the pocket with a generational power puncher, taking and delivering blows as necessary to win. For the first time since Mayweather's departure, it feels like boxing has a new standard-bearer. The middleweight king is dead.